QG Management Standards are working with Governments across the world to implement basic Cyber Security Programmes that align themselves with the Cyber Essentials and Cyber Essentials PLUS standards. Understandably each government have their own requirements, such as where their nations data is stored, which is taken into consideration when developing their requirements. Until such time these programmes are embedded into the countries infrastructure and an agreement is in place between the UK Government and the Countries Governments, QG will continue to offer certification services through either an in country Certification Body or via one of the UK based Certification Bodies. Currently we have no special arrangements with the Irish Government, however we do have a certification body located in Ireland who’s portal can be accessed here. 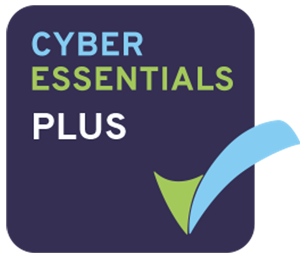 If you’d prefer you can use one of the UK based bodies to achieve Cyber Essentials OR Cyber Essentials PLUS certification. Simply follow the process below and your application will be processed accordingly. through the Assurance Framework it offers a mechanism for organisations to demonstrate to customers, investors, insurers and others that they have taken these essential precautions (Certification). Because of the broad range of applications in scope it is important for us to point you in the right direction. 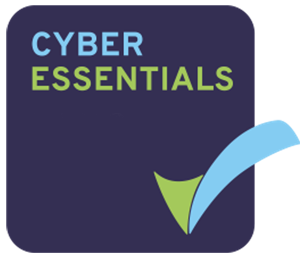 Click here if you would like to view a presentation on Cyber Essentials, it takes you through the steps required on how to apply. 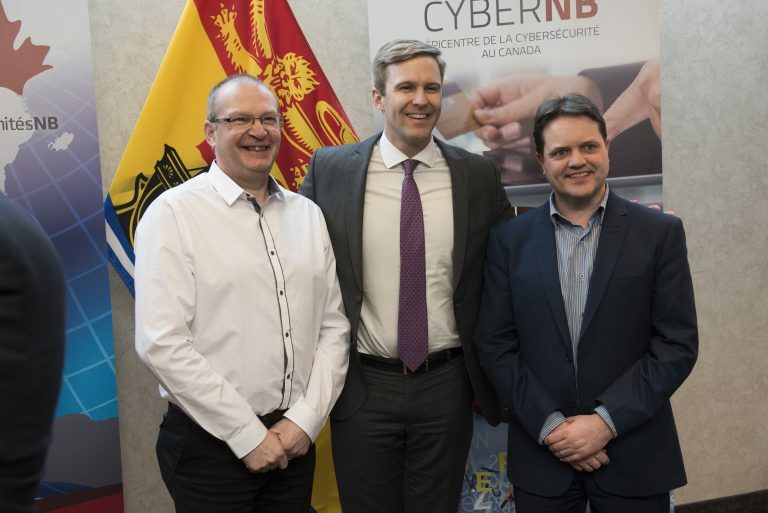 QG Management Standards along with the International Cyber Security Protection Alliance and CyberNB – the Cybersecurity epicentre for Canada, have implemented a Cyber Essentials Programme to be rolled out across Canada in the spring of 2017. Certification Bodies are trained, accredited and ready to certify Canadian organisations against the Cyber Essentials requirements. All certifications in Canada will utilise the Cyber Highway, a QG Management Standards approved portal, to assist Canadian organisations through the process and keep their cyber system current and up to date. Brian Lightowler (QG) and Tony Wilson (Indelible Data) pictured above with Premier of New Brunswick, Brian Gallant have spent time in Canada briefing the operations team, training and accrediting certification bodies and ACE practitioners to be ready for the launch in Spring. From April 3rd 2017 Canadian companies are able to access The Cyber Highway, available in English and French versions with all data being stored in Canada. Currently we have no special arrangements with all other countries. However this does not stop you achieving Cyber Essentials. All UK and Ireland QG Certification Bodies are accredited to carry out CE and CE+ in your territory. Simply follow the process below and your application will be processed accordingly.